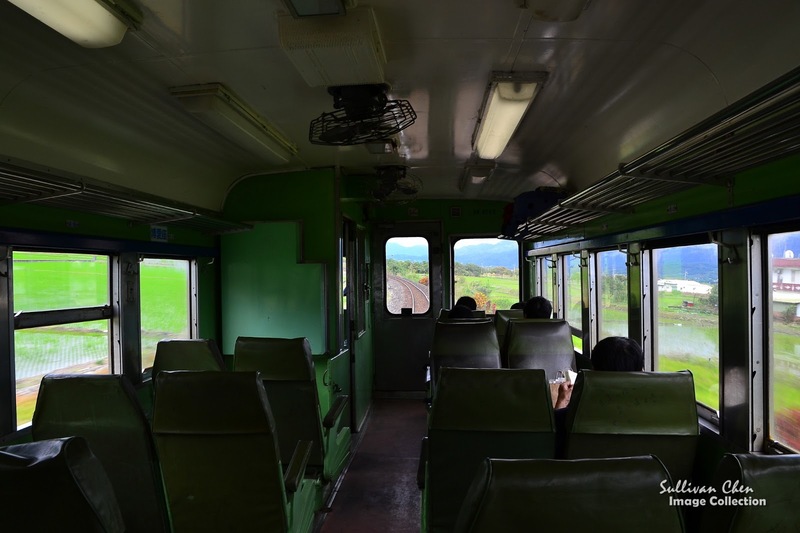 Train travel is not only a transportation choice, but also a kind of travel. In Taiwan, train travel is cheap and convenient. 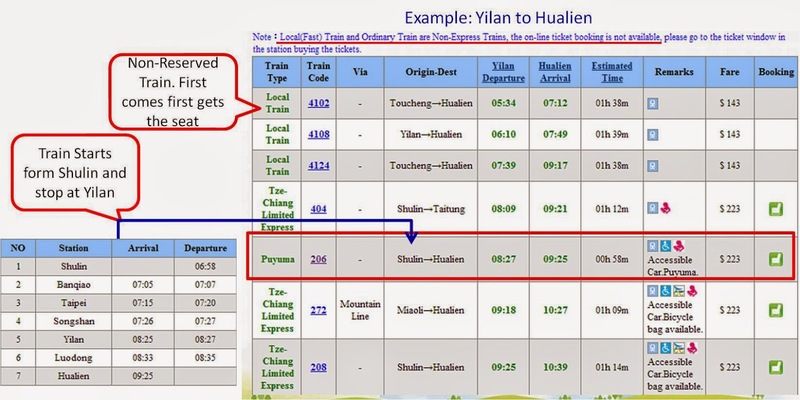 Here is a quick introduction about how to take train in Taiwan. The official information and most guide books introduces that there are Express Trains(Tze-Chiang, Fu-Shing, Chu-Juang Trains) and Ordinary Train(including Ordinary and Local Trains). Although I enjoy train travel in Taiwan so much, I always confuse. Maybe the speed is one of the standard, however, the standard is not always works. I use another easy rules to identify these trains. 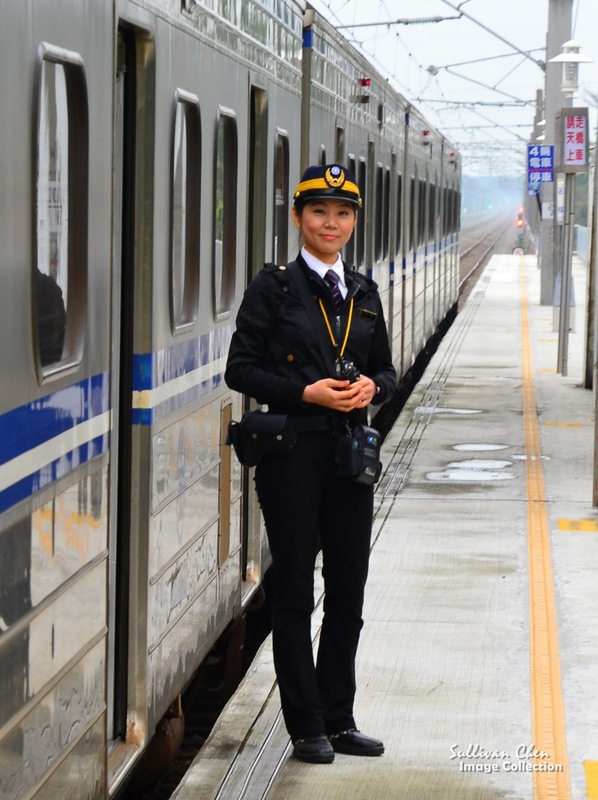 Most foreigners will ask how to book the trains tickets. Booking implies booking reserved tickets with seats number. But you can also take train with non-reserved tickets which you can buy at the ticket vending machine or ticket office in the railway stations. The following are some rules for the reserved and non-reserved tickets. Taroko and Puyuma are tiling trains. 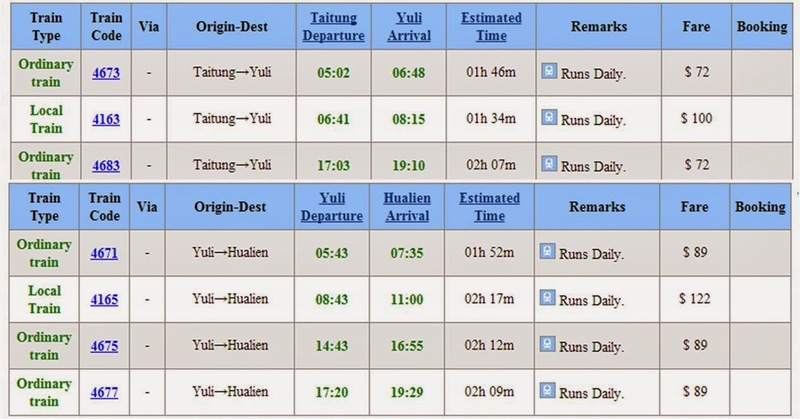 For safety reason, passengers cannot Taroko & Puyuma without booking in advance. You can use the seats if not occupied when you use the non-reserved tickets in the express classes. Yields the seat when other passengers claim their right. In additional to Pinxi line, the following list are some train routes I enjoy very much. The most remarkable feature of Kuang Hua Train is its open view. The train driver room is located in the left and the right part is open. When Kuang Hua Train drives across the East Rift Valley, the blue sky, green field and splendid valley will make your trip unforgettable. 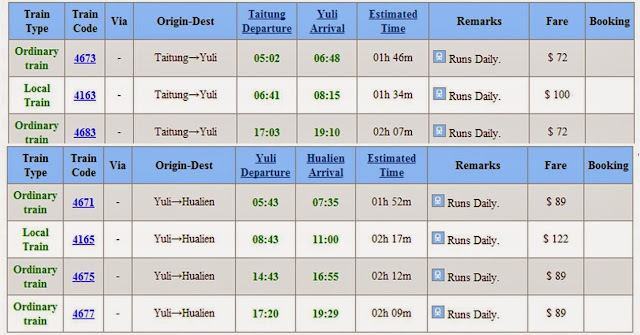 Kuang Hua only provide the transportation service within Taitung<－>Yuli and Yuli<－>Hualien Kuang HuaTrain is ordinary train and you can identify Kuang Hua Train by the train code(the first 2 digits are 46). Train service is in the hour of sunrise and sunset and that is the best moment of sun light. Jiji line is a branch line that extend to Checheng Station of Nantou. In additional to Jiji Township, which is famous for its railway station, Checheng is another place of interested. 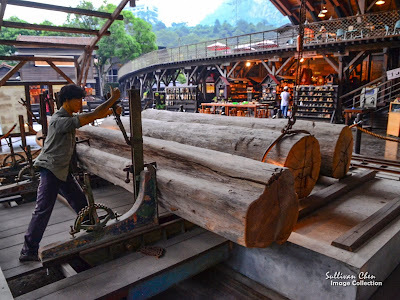 Located at the end of Jiji line, Checheng was built for logging and there is a logging museum and a woodworking experience factoring which are near by Checheng Station. 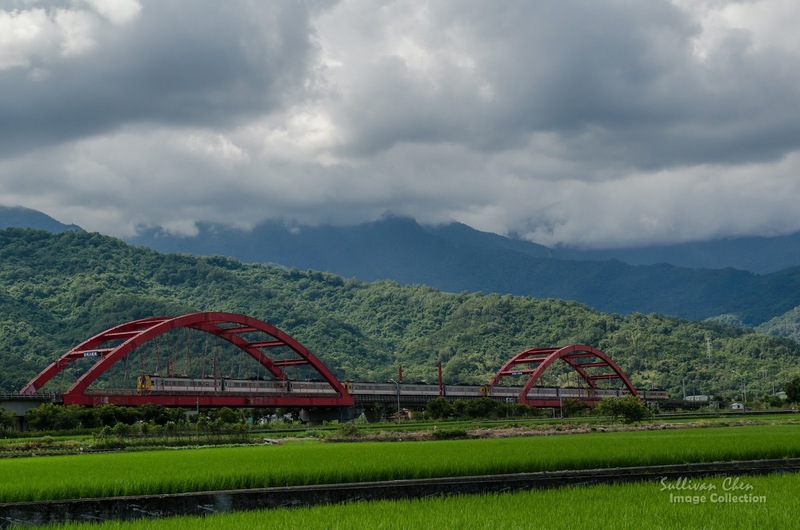 If you stay at Taichung, you can have a one-day trip that includes Jiji, Checheng, and Sun Moon Lake. You can also buy the NTD 360 SML Package Ticket that includes:1.Cable Car 2.Boat 3. Round Lake Bus. You can also go to Cinjing when you from Puli, a transportation near Sun Moon Lake. 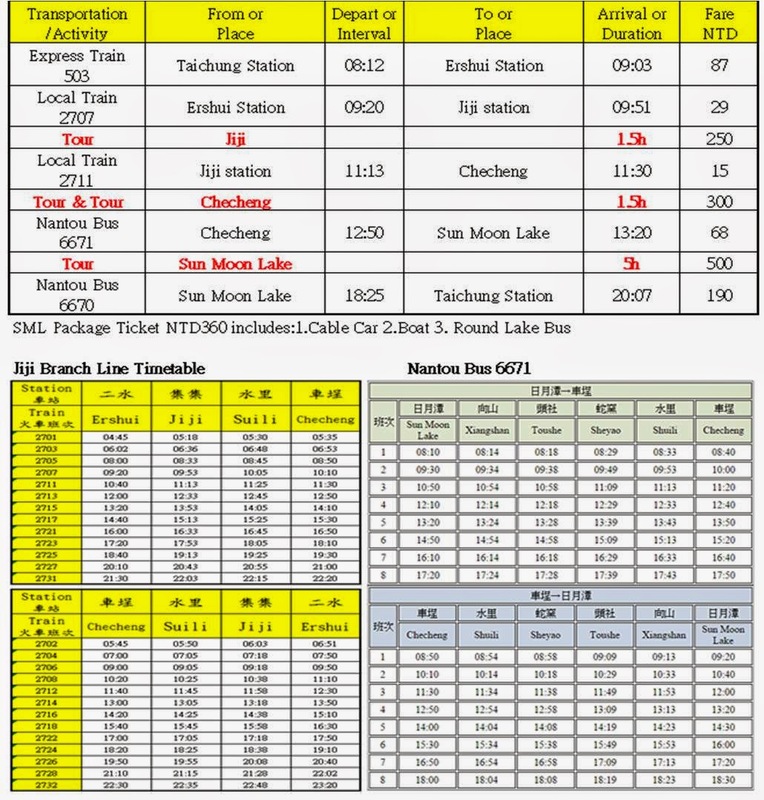 Because the bus ticket between Taichung & Sun Moon Lake cannot be separated, you should buy the ticket between Puli & Sun Moon Lake.